Kalonga did not want to give tough time to the court. The case which has now entered another phase has seen Judge Fiona Mwale ordering for a written report on mitigation. The mitigation process will give the court room to decide the sentence length he is to receive. 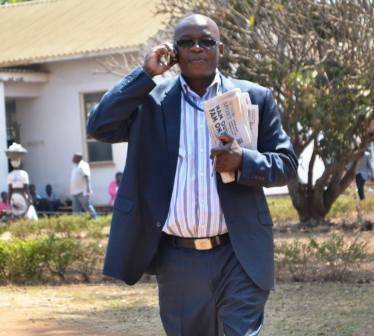 Karonga who is convicted on his own guilty plea to three counts of money laundering related to cashgate scandal denied charges of theft and money laundering involving K105.9 million which he allegedly stole from the ministry between the period of July and October 2013. The Anti-Corruption Bureau (ACB) arrested him 17th October 2013 for conniving with different people to defraud government. Ndalamazo tingogawana coz boma likulamulidwa ndi mbava ili. we want the big fish! Take them all to jail, we will never forget cash gate.